How does a battery produce electricity? 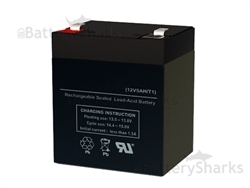 There are many different types of batteries, but all function on the same premise. Batteries can convert chemical energy into electrical energy. There isn’t a process that can store electrical energy in a container. It can however be stored in a form of chemicals inside a battery. Chemicals used to create electricity are many, such as Lead Acid, Zinc-Carbon, Lithium and more. Each of them has different characteristics and is being used in different applications. Every battery has three main components responsible for producing electricity. There are two terminals, which are generally made of metals and are called the anode and cathode. These are also known as electrodes. The third part is called an electrolyte. It is a medium, which separates the two terminals from each other and allows the flow of an electrical charge between them. 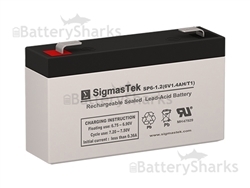 These internal parts of the battery are usually inside a metal or a plastic case. When a device is connected to the battery, a chemical reaction occurs and electrons start flowing between the terminals, thus producing an electric current. The anode is where the current flows in, from outside the battery and the cathode is where the current flows out of it. There is a misconception that the Anode is always positively charged and the cathode is always negatively charged. This is not true. In the non-rechargeable (primary batteries) the anode is always negative and the cathode – positive. 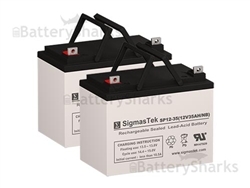 In rechargeable batteries such as the Sealed Lead Acid batteries the cathode is negative and the anode is positive when they are being discharged. When they are being charged the polarity is switched between the electrodes. During discharge the chemicals used on the anode release electrons and ions that flow in the electrolyte through a process known as an oxidation reaction. The cathode then receives the electrons and they flow out to the device, which discharges the battery. This is called a reduction process. The electrolyte is there to connect the two electrodes allowing for the stored chemical energy to be converted into electrical one.